Felix did not have the easiest start in life. He was orphaned when he was still a child and brought up by his Grandmother, Clementina. Clementina has been an active volunteer with Brighter Futures in Zambia since our beginnings. Alongside bringing up her two biological children, she took seven orphans into her care after first her sister and then her own children died. Despite significant health problems of her own, Clementina fought hard to give the children in her care a good life, doing odd jobs as well as brewing and selling beer in her tiny home to feed and clothe them. Gaining school sponsorship through Brighter Futures Zambia took some of the pressure off Clementina and crucially also allowed Felix to focus on his studies. Sadly in Zambia it is not uncommon to see school pupils making their way home from school at odd hours of the day having been “chased” out of school because the money for fees has run out. This is disruptive to the children’s studies as well as causing stress and shame. Ultimately, the hope is that Zambia will follow in the footsteps of countries such as Uganda and Kenya who have made primary and secondary state education free for all children. However, in the meantime too many children like Felix miss out on their chance to complete their schooling and fulfil their potential. Despite the many challenges that Felix has faced, he has always been determined to make the most of the opportunities he has been given. After working hard at school, his exam results allowed him to apply for nursing college and we were thrilled when he was offered a place late last year. This wasn’t the end of the struggle though as, despite finding casual work, Felix could not afford to pay the fees to start his studies. Step in our brilliant friends at Think Productive! 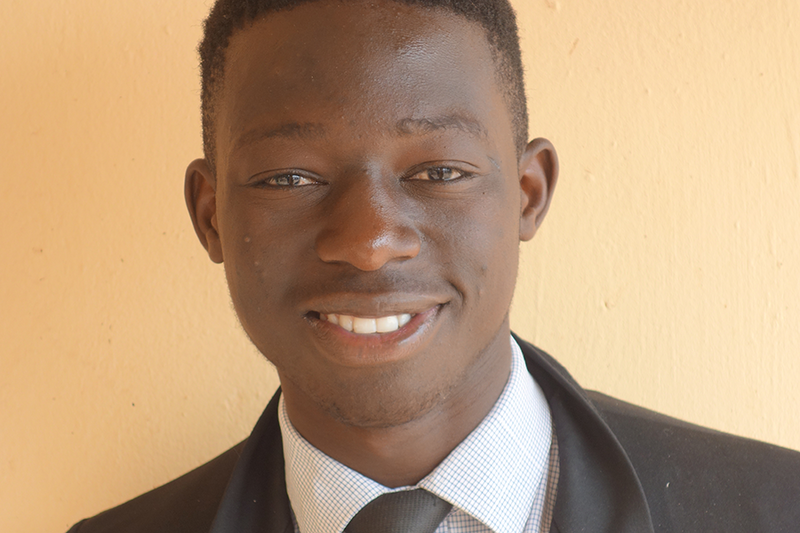 Think Productive, a productivity training and consultancy company, sponsored Felix through secondary school and, when they heard about his college offer they agreed to step-up their support. 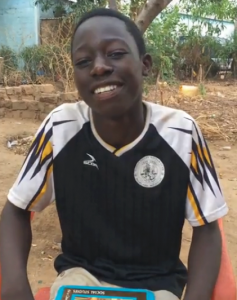 This is such a fantastic outcome and we are delighted to report that Felix is now studying hard in his first term at Monze Mission Hospital Nursing College. When we spoke to Clementina back in 2013, she told us that it was her dream for the children in her care to finish school and be able to support themselves. By starting training as a nurse Felix is well on his way to doing just that, demonstrating the power of education to break the cycle of poverty. We are so proud of you Felix! If you would like to find out more about school sponsorship or know of a company like Think Productive who might be able to support more young people like Felix please click here for more information or get in touch.